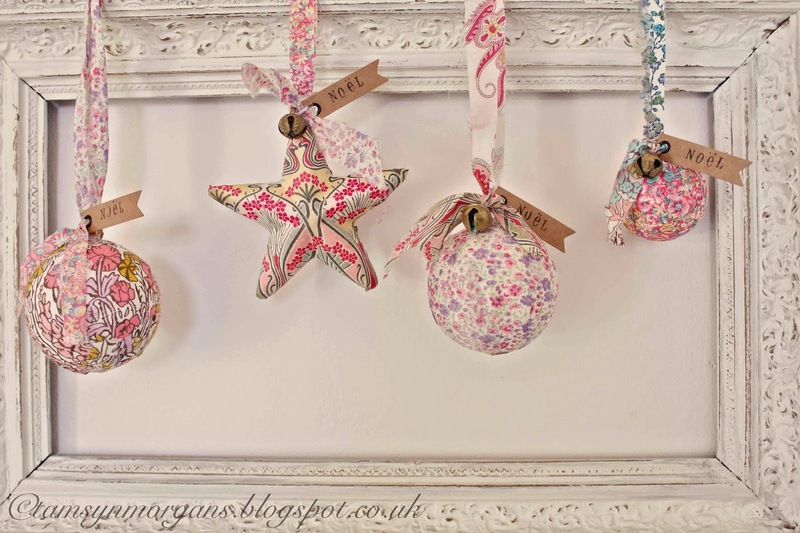 Back in November, I was invited to spend a gorgeous afternoon down at Liberty London, for tea, cake and crafting! If you have seen any of my ‘Styling The Seasons’ posts (September, October, November) then you will have seen me mention Katy at Apartment Apothecary, and Charlotte at Lotts and Lots blog. 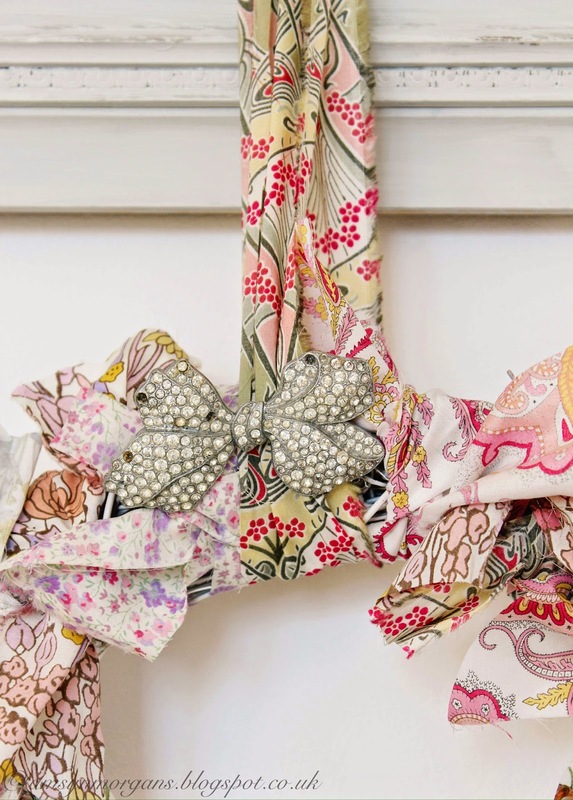 They invited a group of bloggers who had all taken part in Styling in The Seasons – I met some really lovely, inspirational women that afternoon. 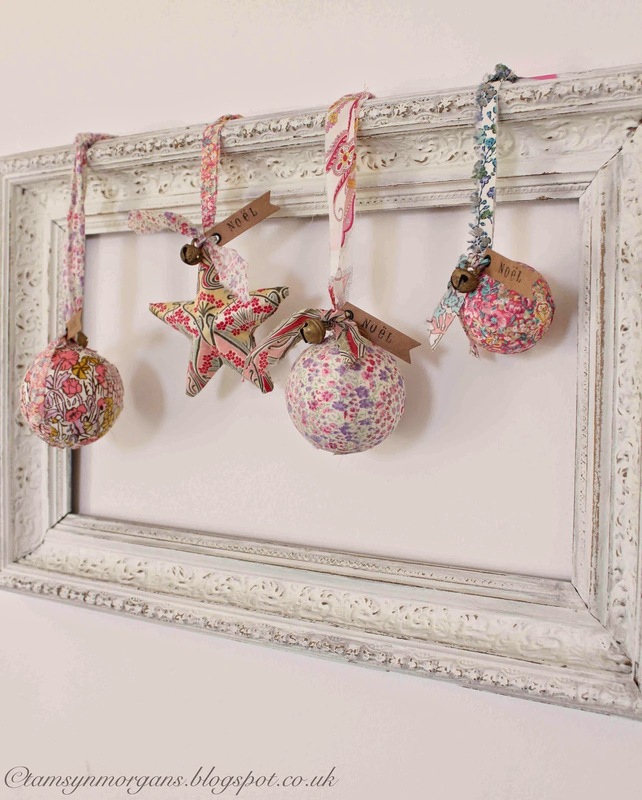 Not only that, but we were supplied with oodles of glorious Liberty print to play with, to make some festive decorations! 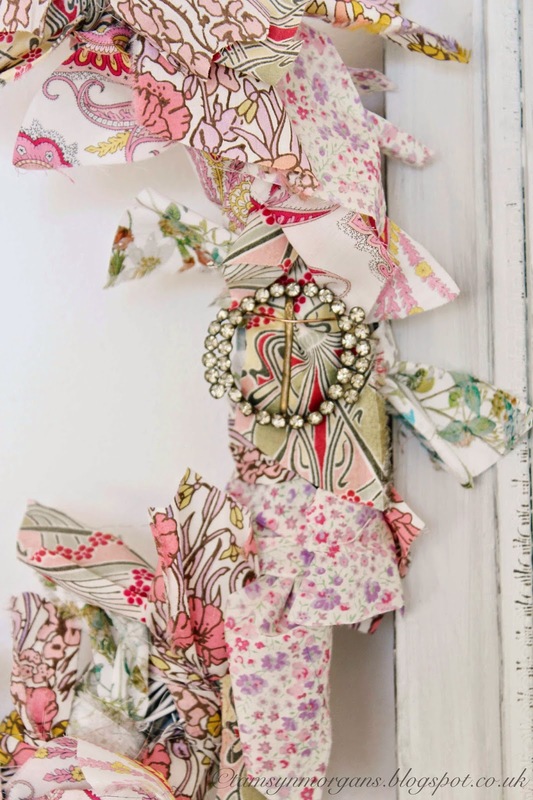 It was such a dreamy afternoon, and I really got my crafting mojo back – as well as a new addiction to Liberty print! 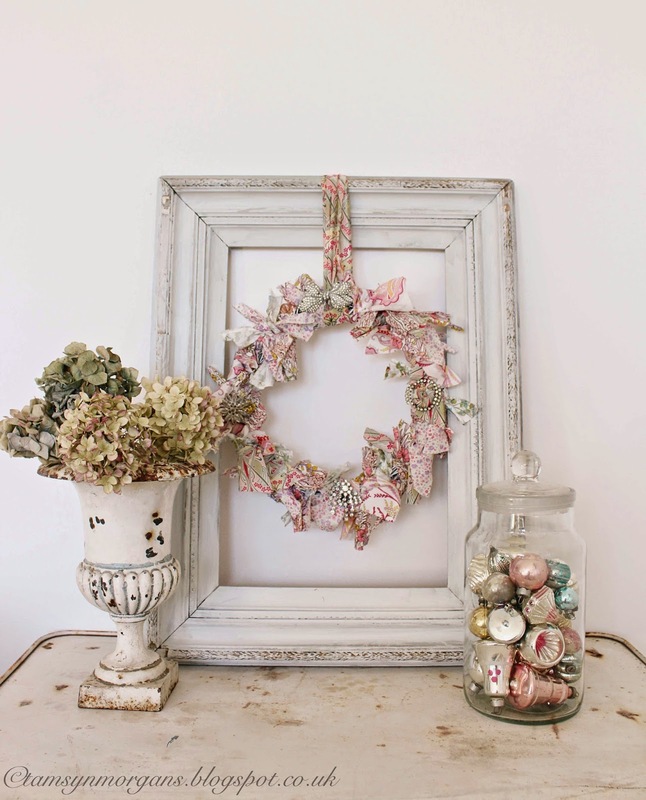 I decided to make a wreath, and I took some vintage brooches to pin to it for some added sparkle. 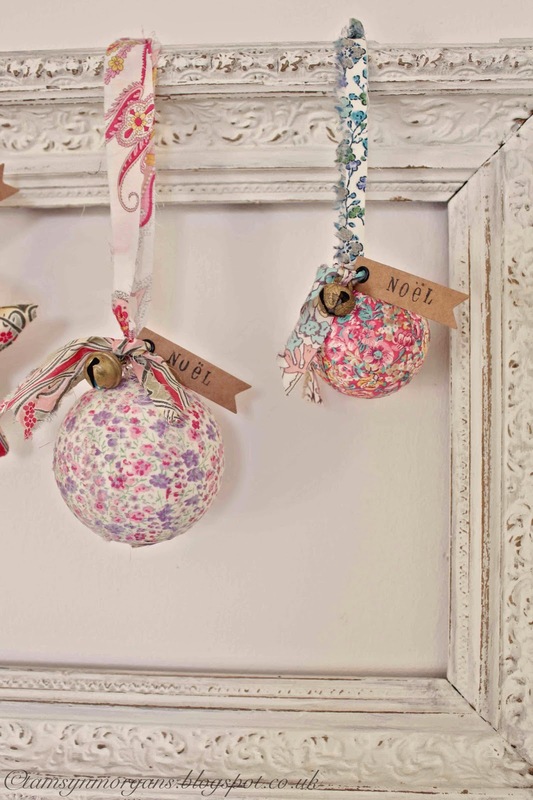 I also covered some baubles with Liberty print in pastel hues. I added some little rusty bells, and kraft labels which I stamped. I came home with lots of pretty scraps of fabric which I’m looking forward to crafting with in the New Year – I also ‘accidentally’ managed to get a bit lost in the fabric department on the way out of Libertys, and purchased the most delicious selection of fabrics to play with – more on that another time! 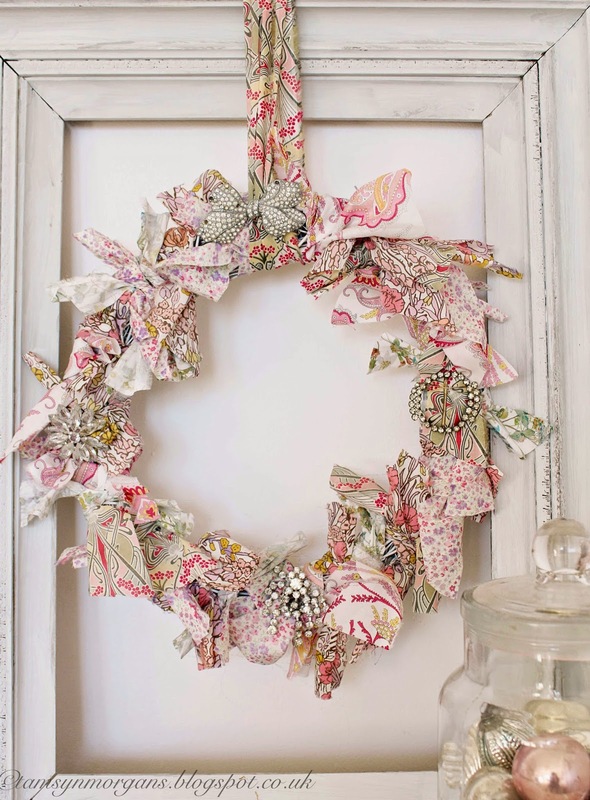 I have been waiting to see what you made Tamsyn, and it's so pretty, I would love to make one similar, maybe next year I shall. I also had a thought to make angel wings with Liberty feather shapes. 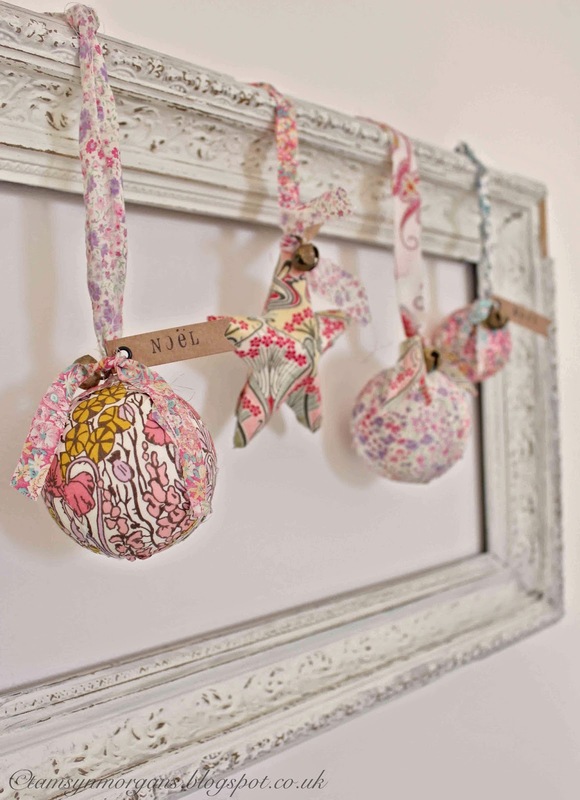 I love your baubles too they look gorge. The colours are my favourite kind of Liberty.